Watching the Castle being put up on a Saturday morning on Crewe Square a group of people watching wondered if the people looking after these young children had been CRB checked. Criminal Record Bureau check checks if people working with young children have a criminal record and more importantly if they are Paedophiles. The purpose of coarse is to ensure the safety of our children. We asked the council about checks and this is the reply. We do ensure providers have adequate Public Liability Insurance up to the value of £1mill. Also, Guidelines regarding Inflatable’s, including bouncy castles, as recommended by the Health and Safety Exec (Information Sheet No 7) are adhered to. In summary this provides guidance for those involved with design, manufacture, importation, supply, inspection and safe use of inflatable devices. A CRB check is not required. Owners would in most cases differ from the actual Operator – who could be casual staffing. Staff are mainly concerned with the safety and use issues and not in direct dialog with a young person, as say an entertainer would be. With regards to Entertainers in town these are all CRB check as are the staffs who supervise the Town Centre activities. So they are not check and from the letter may be casual staff that no one has checked. This is an ideal target for Paedophiles as these people have direct contact with very young children in as much as they can touch them, talk to them and comfort them if they are hurt. Also for a Paedophiles its an ideal situation watching young children tumble down a Castle. It also suggests being casual that they will not be First Aid trained so in the event of an accident there is no first aid. The company running this castle may be very respectable but have no knowledge of if there casual workers are Paedophiles. I fits a respectable company I feel sure they would welcome CRB checks on all there operators as this gives the company a new selling point that all personnel are CRB check and could increase there turnover. From parents point of view they would expect that these people looking after their children to have been checked by the council to ensure children’s safety. journey through the songbooks of two of the most recognisable names in music history. Barry Manilow & Billy Joel combined have sold more than 200million records worldwide. These Grammy Award winning artistes are inductees of the illustrious Songwriters Hall of Fame. With songs including the up tempo ‘My Life’ and ‘It’s a Miracle’ to the powerful serenity of ‘Mandy’ and ‘Just The Way You Are’. These standards and many more instantly recognisable hits feature in this fantastic two hour show. When the curtain rises the audience are greeted with the spectacle of two grand pianos and a host of fabulous musicians. The vocal and musical talents of both Vaughan and Andy become evident as hit after hit are delivered in style. All these elements combined with special effects and a hint of Manilow and Joel magic will make this a night to remember. 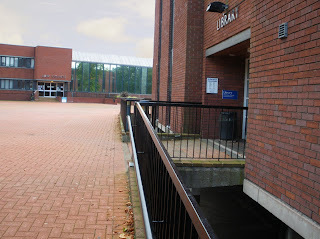 Crewe Library was the venue for Crewe Photographic Society open day with displays of photos both digital and analogue. There was a competition to enter but the main point of interest was the Help Desk were people could come along and get help with anything to do with photos and cameras. I have investigated with our Electrical department that we do have use of an audio system linked to the CCTV cameras at the facility. Like all CCTV systems a single facility is not constantly being monitored by a member of staff. Brett Hall the department head assures me that the facility is being used when required and on a number of occasions police have been directed to the area to deal with Anti Social behaviour issues by the CCTV operator. Having also raised this issue with Margaret Howell, the Community Wardens will focus on the area; this will include a daily visit over the next few weeks. I will also ask the Wardens to watch over the area during the school holidays. Margaret pointed out that the Wardens would have difficulty enforcing any ruling as there are no bi-laws to control and support the operation. 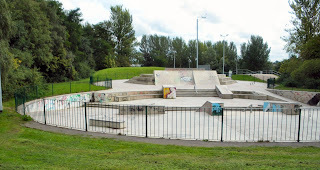 Yesterday I spoke with 5 BMX riders who were using the Skate Park together with Skateboarders, I asked if there had been any incidents with the mix of bikes and boards and they clearly stated that the locals seemed to get on and new each other, however when youngsters from out of the area visit this may be the time when problems have arisen. With an open site, supervision is difficult, additional signage will not carry any more enforcement. All our facilities within the Borough are purpose designed to accommodate both skate boarders and bmx bikes. As you are aware all the new facilities at Tipkinder are well used and we should encourage youngsters off the street to use these purposeful and safe facilities. I will continue to monitor the situation and encourage the Cheshire Ghost Riders BMX Club to watch over the facility during there weekly training sessions. I was sorry to hear in the Chronicle that someone had been injured on the BMX track and I hope they are getting better. There has been a lot of activity down at the park as a result of the Olympics and school holidays. It does come back to my concerns over the Skate park we raised a few weeks ago in that all the BMX riders are taking over the skate park so skaters cant use it any more so we are now seeing them back around the town. The injury is a wake up call and action must be taken. BMX is done a soil covered in gravel and as such not so hard a fall as concrete. BMX’s are using the skate park even though it states its for skate boards and roller blades only. The skate park is solid concrete with metal grind rails all around the park. While is can be dangerous for skaters they are restricted by there equipment to 15 mph. On the other hand kids on a bmx can reach 40 miles per hour and jumping out of the ramp over 10 feet. If they fall from that height or hit any one with steal stunt pegs on the out come is going to be horrific. Falling on gravel is bad enough as was seen in the Olympics onto solid concrete with sharp metal edges is potentially fatal. We are talking about children as young 10 on these bikes with no experience or training or any safety gear. I feel sure Shanaze Read would be the first to encourage children to do sport but would back a call for safety gear and training before doing these stunts. The council has the technology at the park to talk to BMX ers and get them off the skate park. They must take action to ban bikes from the skate park with clear signs and enforce the rules. The bmx club should also advise their members to keep off the skate park. If they fail to do this I feel its only a matter of time before we have to read the sad news in the paper or serious injury at the park or worse.